love the rays sticking out on either side and the clusters on the other sides of the photo!! So beautiful! Beautiful layout!! Your clusters are absolutely flawless!! Great use of multiple papers in the background. Vibrant clusters frame that beautiful photo. Love the page. Beautiful! 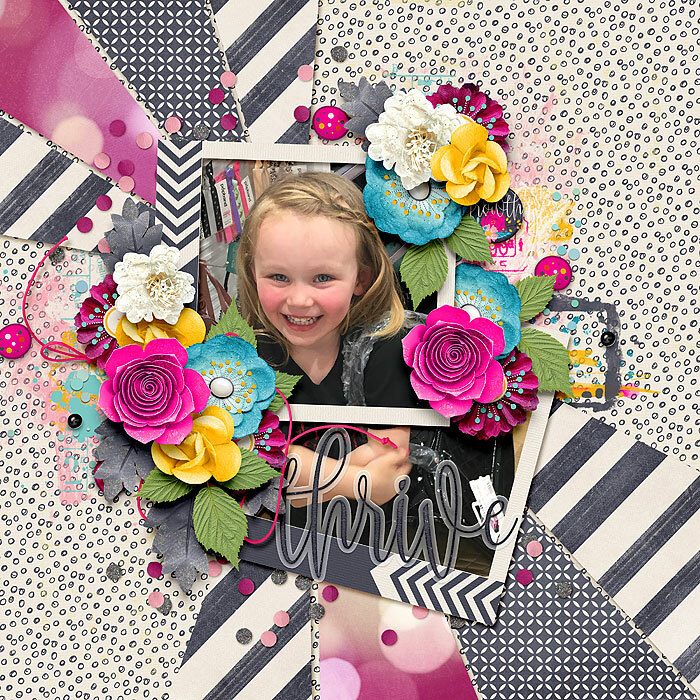 I love the pop of color and the way the papers draw your eye to that adorable photo.